Cranberries are not just for your Thanksgiving turkey. These round, juicy, plump little berries can be enjoyed year round and our cranberry smoothie recipes will show you how. Certainly the season when fresh berries are available is quite short. Generally grown in northern climes such as parts of Europe, Northern United States and Canada, their season only lasts from October until December. But there is nothing wrong with using frozen berries in your smoothies, and the frozen variety is usually much cheaper. Where I live fresh cranberries are very hard to come by, so I always have to use the frozen variety. When buying fresh, choose bright red, plump cranberries that bounce. The skin should be smooth and shiny, firm to the touch without any wrinkles, cuts or cracks. Avoid anything that is soft or discoloured. Remove stems and wash just before using. They will keep in the refrigerator for several months and are best stored in a plastic bag or a covered container. If you are lucky enough to be able to buy them fresh, it’s easy enough to freeze any surplus. To freeze fresh cranberries, spread them out on a cookie sheet and place in the freezer. Once they have frozen, usually after a couple of hours, transfer them to freezer bags. Seal the bags, mark the date and return to the freezer. They will keep for several years in the freezer. 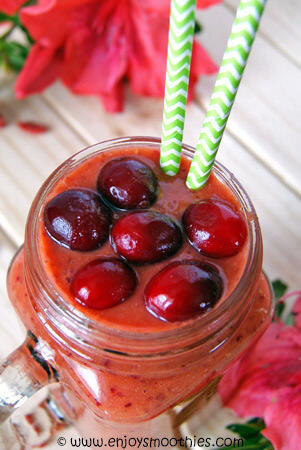 One of the easiest ways to incorporate cranberries into your diet is to throw them into your blender. Cranberries have quite a tart taste so you will definitely need to add a sweetener. To avoid using sugar, go with a natural sweetener such as fruit or honey. They blend beautifully with other berries, but oranges and apples also go well. Cranberries are at the top of the list for nutritional value and can easily be referred to as a superfood. They are high in antioxidants, containing both vitamin C and vitamin E, boosting the body’s resistance against infection. Cranberries also contain vitamin K, manganese and phytonutrients, naturally occurring plant chemicals that help to protect the body against free radicals. To top it all off, half a cup of cranberries contains only 25 calories. Cranberries are extremely useful in treating and preventing urinary tract and bladder infections. They work much the same as elderberries, preventing the bacteria from attaching to the cells of the bladder or urinary tract. They are also highly effective in the prevention of certain types of cancer, improving the immune system and decreasing blood pressure. Cut pear into quarters and remove seeds. Add to blender together with cranberries, goji berries, orange juice, coconut milk and flaxseed. 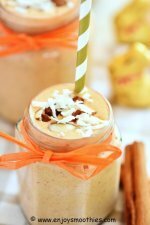 Blend until all the ingredients are thick and creamy. Pour into two glasses and decorate with cranberries. 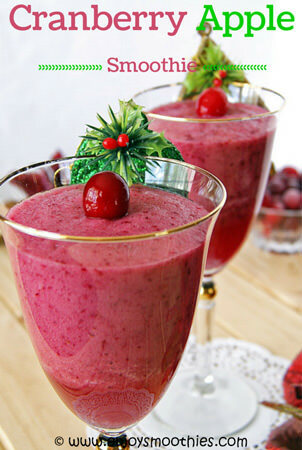 Add pineapple, cranberries, chopped apple and cranberry juice to your blender. (I used apple and cranberry juice because this is what I had in my pantry and it turned out great). 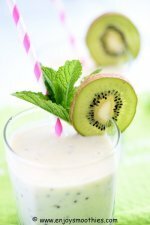 Blend on high until your smoothie is frothy and creamy. 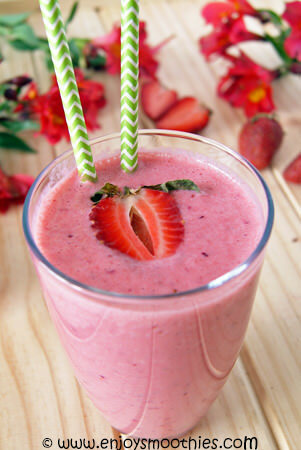 Combine strawberries, cranberries, Greek yogurt, cranberry juice and lime juice in your blender. Blitz on high until smooth and creamy. 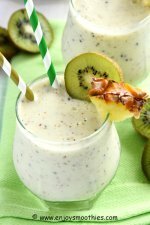 This smoothie makes one glass. Double the recipe for two.